NC Flood Insurance – Do I need it? Would you believe property damage from floods exceeds over $1 billion each year right here in the United States? Did you know your NC homeowners insurance policy does not cover flood damage? Don’t wait until it’s too late. 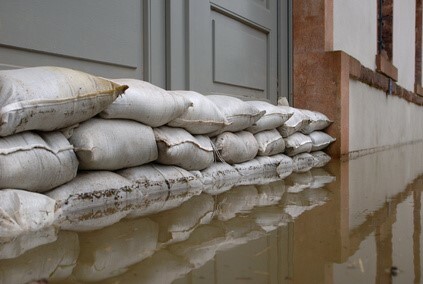 It only takes a few inches of water to cause thousands of dollars in damage to your home and your personal belongings. NC flood insurance can protect you! Even though your community may have never flooded before, does not mean it’s immune. First of all, we cannot control Mother Nature. Secondly, as more land is developed, land slope and drainage can change. There is also that chance of levees overtopping or water mains breaking. There are numerous factors that contribute to floods. Many people believe that they don’t need NC flood insurance if they aren’t in a high risk area. This is a very common misconception. Flood insurance is actually affordable for most homeowners and is well worth the premium should you ever experience a small or catastrophic flood loss. In recent years, the average residential flood claim was $30,000. There is typically a 30-day waiting period when buying flood insurance. Don’t wait for that hurricane to set her eyes on the NC coast. Floods can happen anytime and nearly everywhere. You don’t have to be in a flood zone to experience a devastating flood. Nearly 20% of flood insurance claims come from moderate-low risk areas. Flood can be caused by quickly accumulating rainfall, hurricanes and tropical storms, broken or overtopped levees and outdated or clogged drainage systems. Flood risk can change over time. Just because your home was not in a high-risk area five years ago, does not mean it is still in that same risk category. The flood risk maps change periodically. Don’t take the risk. Get your policies reviewed by a licensed NC insurance agent and be sure you have the coverage you need. Protective Insurance Agencies is located in Salisbury, NC and can help you answer all the questions you might have about insuring your home. We can also help you determine your flood risk and provide you with quotes from multiple carriers insuring you get the best rate possible. Contact us today for a complimentary policy review.